EA has recently announced that Command & Conquer: Rivals, the company’s upcoming real-time strategy game, will launch worldwide on December 4 on iOS and Android. 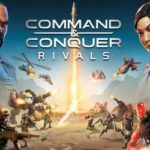 Command & Conquer: Rivals was soft-launched on Android in June and, according to EA, the players’ response was so great that it allowed them to craft the game based on the feedback they received. A fast-paced and thrilling real-time, PvP strategy action game, Command & Conquer: Rivals will include a championship pro scene, community tournaments, and a weekend mode named Rivals Champions. 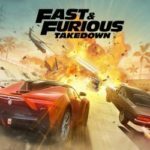 The Rivals Champions mode allows players to compete in a unique matchmaking pool in which they can distinguish themselves and climb the leaderboards. And the best part is that the competition is segmented by rank, allowing players with different skill levels to win. The rewards depend on how well they perform. Unlike other games – such as Game of War or Clash of Clans – which have at their core the “drop-and-watch” mechanics, Command & Conquer: Rivals allows players to permanently control their units in the war for Tiberium. Planning, preparation, and tactical execution are all equally important in the quest for victory. Pre-registration for Command & Conquer: Rivals is already available on the game’s official website. 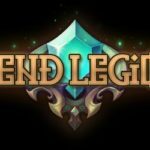 Players who pre-register gain a limited edition bundle that will become available at worldwide launch.